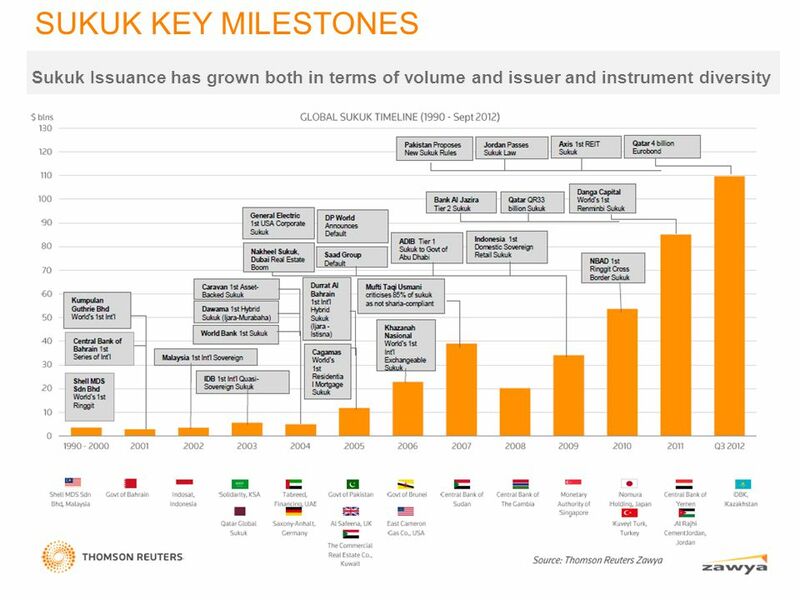 5 NEW SOVEREIGN SUKUK ISSUERS AND THEIR GOALS..
A number of non-Muslim countries making their debut in 2014 to get access to the highly demanded asset class The strong demand for sukuk encouraged 19 jurisdictions to tap the sukuk market in 2014, with huge oversubscription amounts for the UK, South Africa and Hong Kong sukuk . 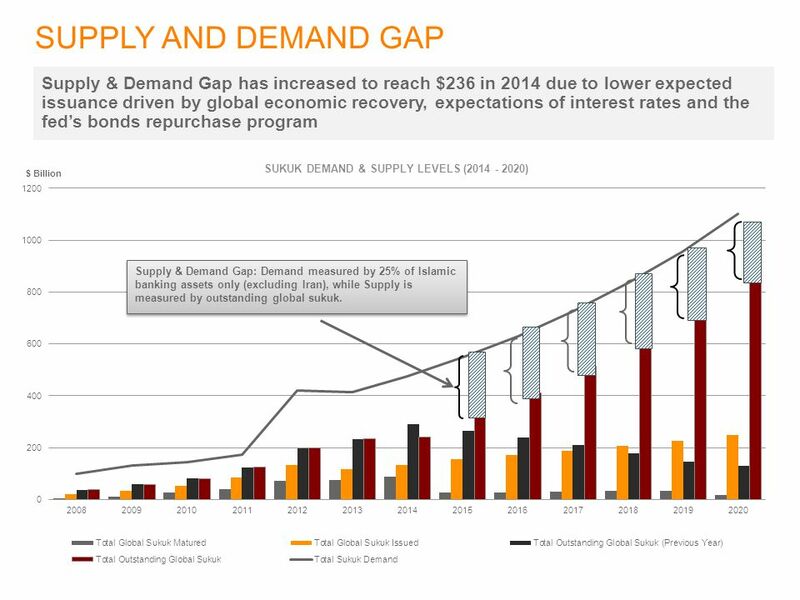 The interesting feature is that sukuk still get demand being issued in Euro. The IDB and Luxembourg both issued in Euro. Governments making their debut generally also create a benchmark yield curve to ensure an efficient pricing methodology is in place for the instrument. The intention of the sovereign issuers is also to encourage other local companies to tap into the sukuk market to benefit from the huge investor base and pool of risk averse liquidity. Massive infrastructure spending across the GCC and deficit budget financing across several emerging Asian and African markets will continue to drive issuance. International sukuk is also an indirect way to attract foreign direct investment (FDI) to any country. Issuers utilize sukuk to pursue various economic / social development plans Bahrain used sukuk to finance a number of sectors including the billion dollar residential project, Durrat Al Bahrain. 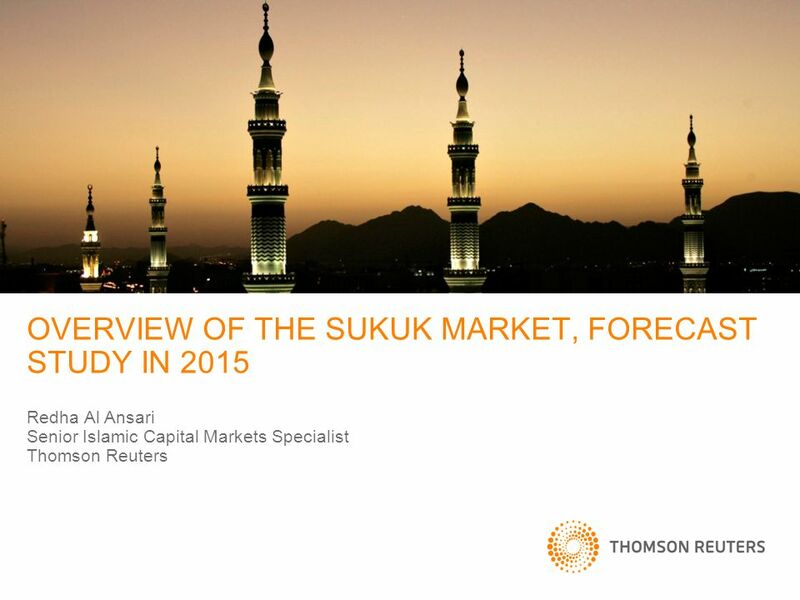 It has also issued the first retail sukuk in the country earlier in 2015. UAE banks used sukuk to boost capital to comply with BASEL III requirements (ADIB / DIB). Malaysia’s capital- raising exceeded RM90bil for the third consecutive year, indicating the capital market’s deepened capacity to meet Malaysia’s real economy financing needs. Sukuk was also seen in medical sector following World bank (iffi) issuing1st immunization sukuk to fight Ebola and other diseases. Saudi Arabia utilizing sukuk to finance large projects with relatively longer maturities such as General Authority of Civil Aviation (GACA) in 2012 and Saudi Aramco (SATORP) in 2011. 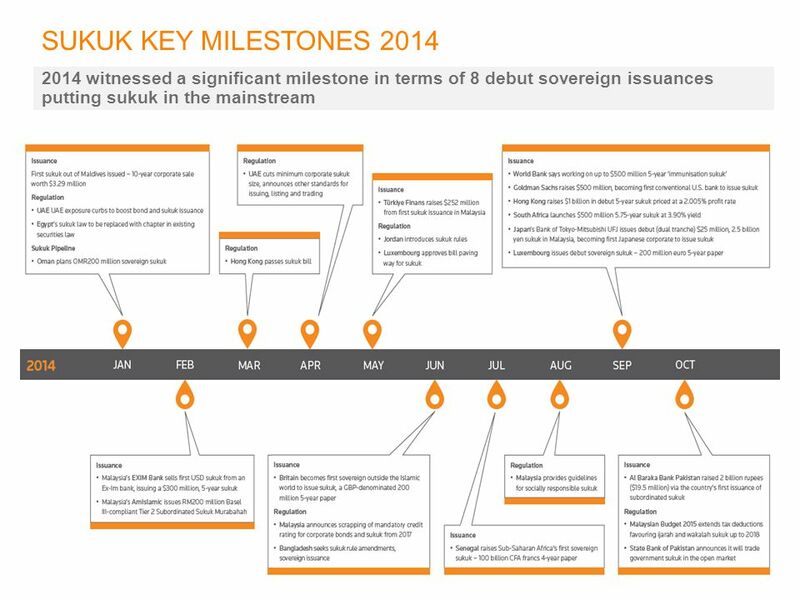 Hong Kong, Luxembourg, Senegal, South Africa, and the United Kingdom were the new sovereign entrants 19 jurisdictions issued sukuk in 2014 compared to 16 in 2013 and 18 in 2012. Hong Kong, Luxembourg, Senegal, South Africa, and the United Kingdom were the new sovereign entrants in 2014. We also saw a corporate sukuk in the Maldives, and also welcomed the first Japanese and conventional U.S. bank to the sukuk market. 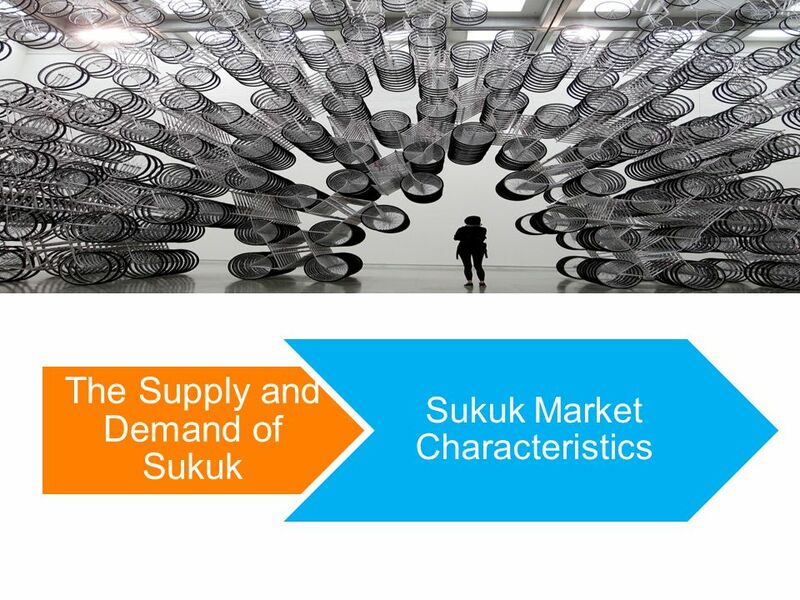 SUKUK STRUCTURES PREFERRED BY MARKET Murabahah, Malaysia’s favourite structure, was the most-used structure in 2014; the total value of 342 murabahah sukuk amounted to $53.9 billion Global Sukuk Issued in 2014 Breakdown by Structure Sukuk Structure Amount Issued ($ Million) Number of Sukuk Murabahah $53,875.53 342 Ijarah $20,594.50 119 Wakalah $11,388.60 47 Bai Bithaman Ajil $9,100.79 12 Musharakah $4,749.58 89 Al-Wakala Bel-Istithmar $4,407.37 7 Mudarabah $1,999.89 5 Mudarabah-Murabahah $1,889.38 Al-Istithmar $1,519.92 2 Ijarah-Wakalah $1,500.00 1 Al Salaam $1,176.36 154 BAIEINAH $570.50 20 Wakalah-Murabahah $350.00 Murabahah-Musharakah $9.83 Of the 342 issuances, only 5 murabahah sukuk were issued outside Malaysia. Trading of murabahah sukuk in the Middle East, or the regions that follow AAOIFI standards, is prohibited. 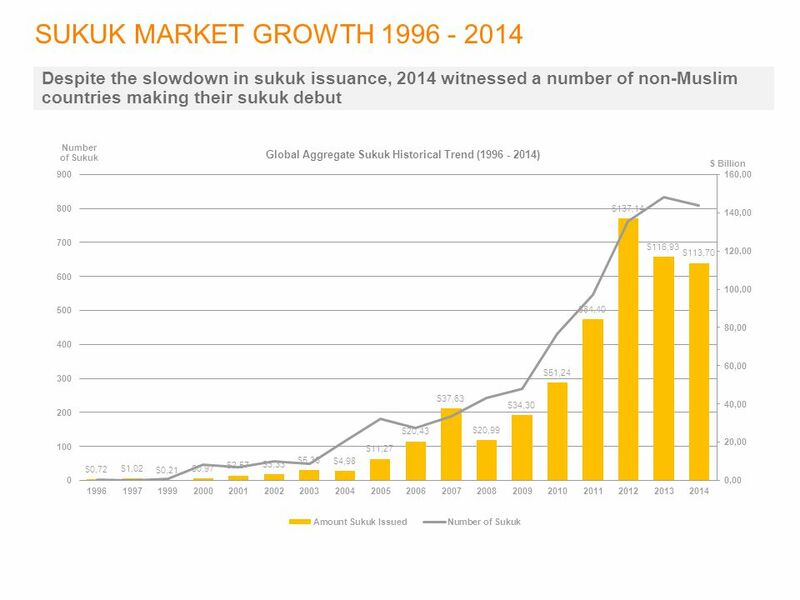 In Malaysia, however, investors can trade murabahah sukuk in the secondary markets. GCC countries prefer the ijarah structure and the consistent use of ijarah sukuk has been the trend for the past 5 years. It is expected that the ijarah structure will be used more extensively given its attractiveness and tradability. 13 SUKUK COSTS Despite their higher issuing costs relative to bonds, sukuk have benefited from specialist investors who solely deal with sharia-compliant products. 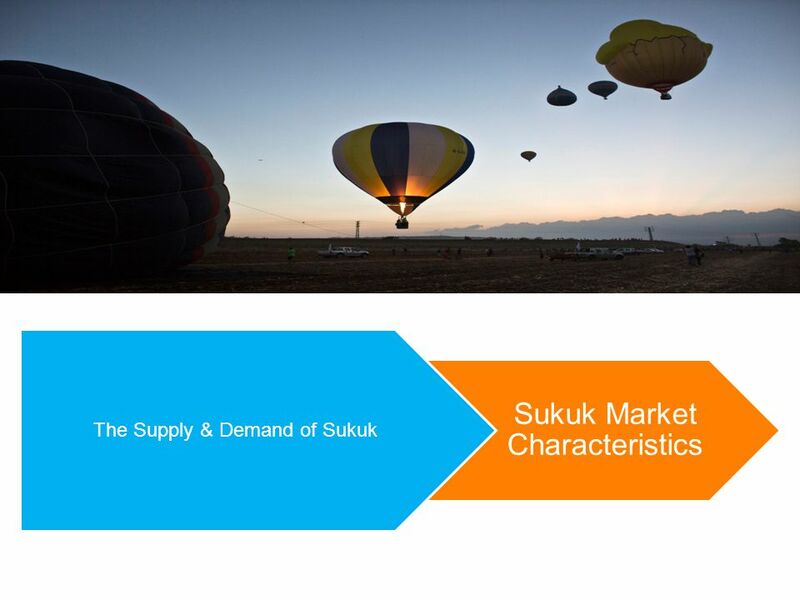 14 SUKUK PRICING Sukuk pricing is heavily driven by the fixed income market based on treasuries, mid-swap rates and country CDS. 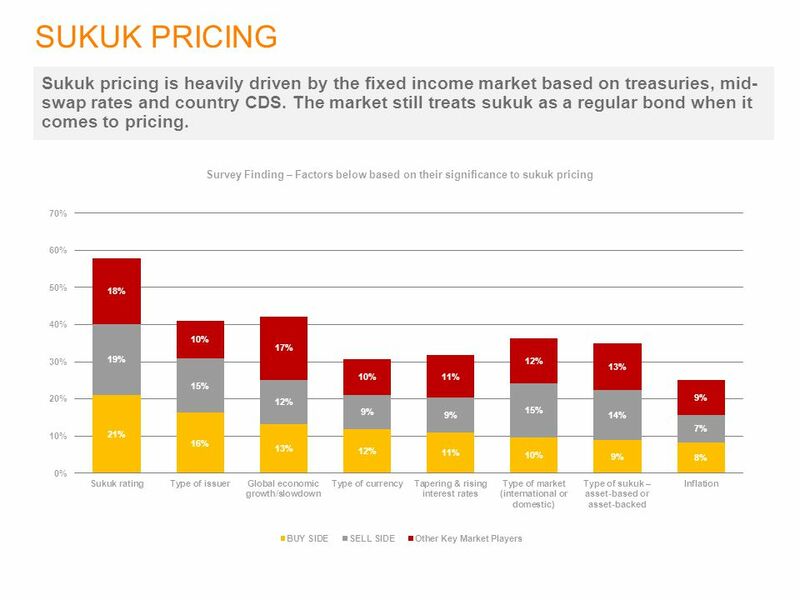 The market still treats sukuk as a regular bond when it comes to pricing. 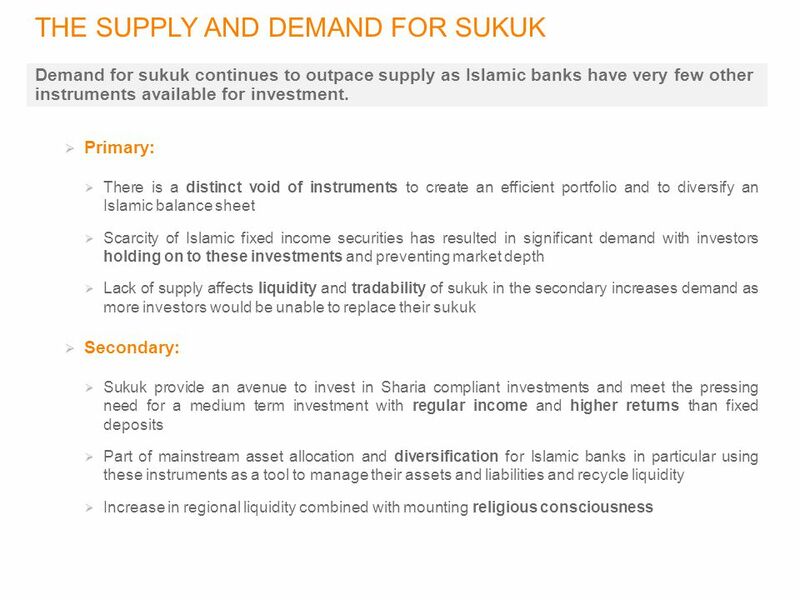 Download ppt "OVERVIEW OF THE SUKUK MARKET, FORECAST STUDY IN 2015"
T HE G ULF B OND AND S UKUK A SSOCIATION Helping Build the GCC Region Michael Grifferty October 1, 2009 DIFC and the World Banks MIGA. ISLAMIC DEVELOPMENT BANK Seminar on Islamic Finance BANCA DITALIA (Rome,11 November 2009) Second session a.m Monetary Policy and Liquidity Management. Role of Islamic Capital Market in Economic Growth Zainal Izlan Zainal Abidin Executive Director, Islamic Capital Market Securities Commission Malaysia. 1. 2 Presentation to “Mine to Mill” Research Trip Alex Beavers Queensland Treasury. Islamic Liquidity Management Issues ISLAMIC BANKING AND FINANCE Lebanese American University, School of Business, Irwin Hall, Beirut, Lebanon February. 2 November 2007, London Ajmal Bhatty, SEO & Chief Operating Officer Tokio Marine Middle East Limited Investment Challenges For Takaful Companies in the. The Future of Global Financial Markets and the Implications for Pensions Howard Davies Director - London School of Economics Montreux 16 May 2006. First Quarter Investment Outlook Prepared February 6, 2015. 1 1 Recent Developments in African Capital Markets – The Nigerian Case October 29, 2007 Discussion Notes By: Godwin Obaseki. SINGAPORE’S EXPERIENCE IN DEVELOPING THE GOVERNMENT BOND MARKETS Yeo Lian Sim Assistant Managing Director (Capital Markets) Monetary Authority of Singapore. Dr. Abd elrahman Elzahi Saaid Ali Economist Islamic Research and Training Institute, a Member of IDB Group. 1. 2 Sukuk (Islamic Bond) Hamad Rasool Director : First WAPDA Sukuk Co. Director: First Credit Investment Bank. Director: WAPDA Finance. 2-1 CHAPTER 2 AN OVERVIEW OF FINANCIAL INSTITUTIONS. Dr Marek Porzycki Chair for Economic Policy. 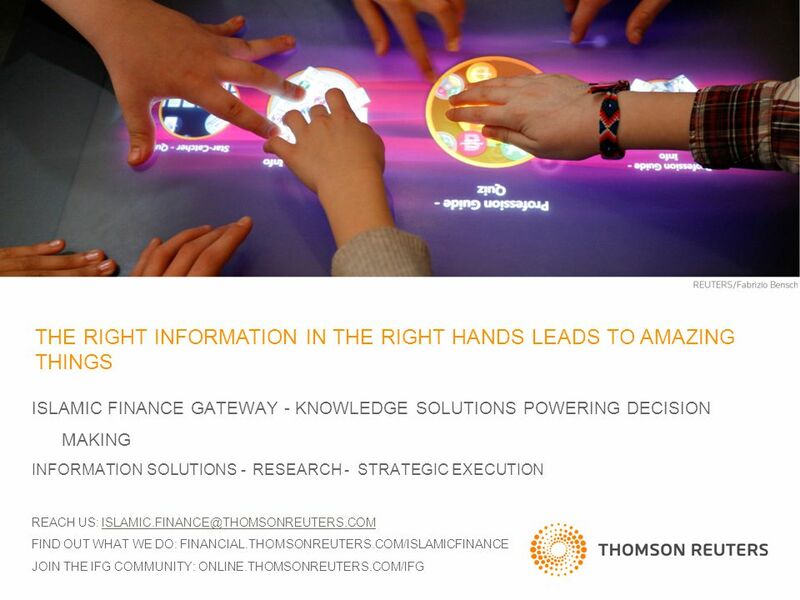  Markets in which funds are chanelled from savers/investors (people who have available funds but no productive.